Jazz & Fly Fishing Nominated! Just got word that my short film “It´s Hardly Ever Like That” is nominated for this year´s Gullkroken award in the “Best Film/Short Film” category. I feel really proud and flattered to be nominated along such heavyweights as Lars Nilssen and André Brun, and hope to see as many of you as possible at the award show in Oslo on saturday 26th of October. 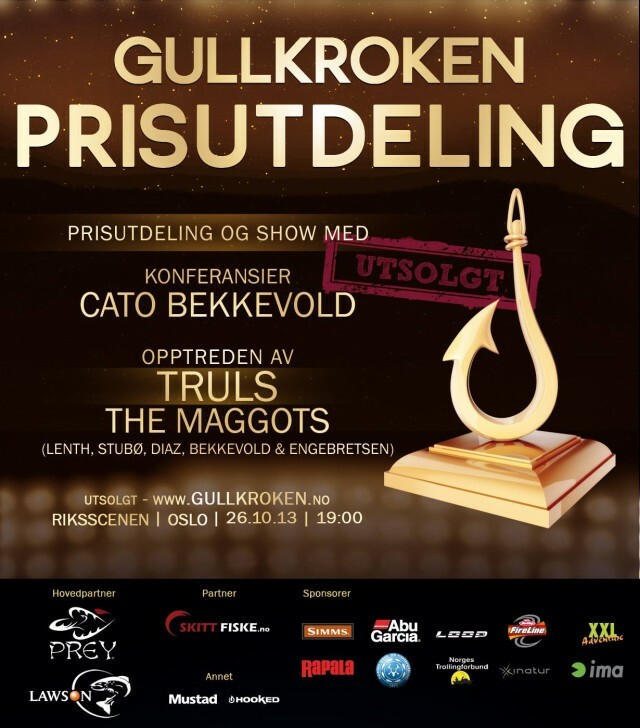 I will also be performing at the award show with The Maggots, an ad-hoc rock group of passionate fishermen/musicians, made up of rapper Diaz on vocals, Lars Lenth on guitar and vocals, Alexander Engebretsen on bass, Cato Bekkevold on drums and yours truly on guitar. It´s Hardly Ever Like That from Jazz & Fly Fishing on Vimeo. This film is by far my favorite of the ones you did on your own. Keep it up! Hope we’ll meet sometime on an IMAGO meeting.